Your appreciative yet honest assessments of people and programs past are why I come here. Your insightful interview with Jerome Ross and others from the period when television was relatively new always make me appreciate some aspect of that era anew. How heartbreaking to think of the sparse attendance at that memorial service for Rod Serling–I grew up in the Finger Lakes, knowing family and friends of the Serlings and I can tell you that his loss at only 50 was felt deeply by many residents of that relatively quiet corner of New York State, in part because it was a spot that he returned to repeatedly in his writing by name or by conveying the appeal of small town life and its limitations and also because of their warmth and kindness despite what must have been overwhelming success and the pressure that comes with it. 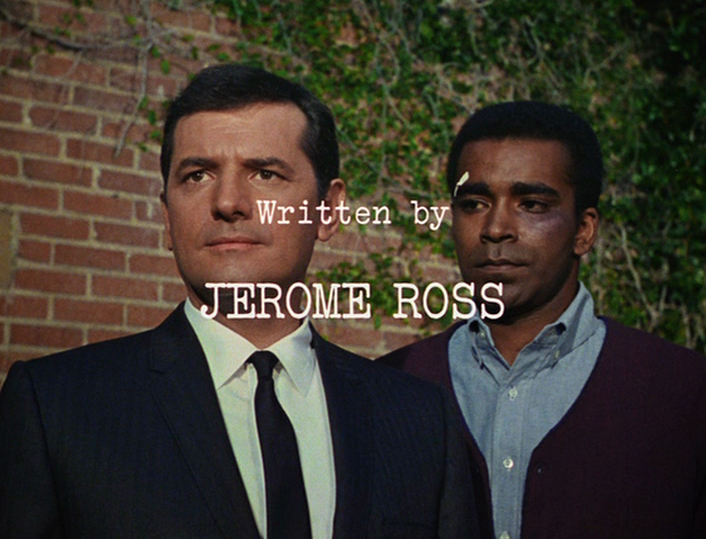 I hope that Jerome Ross is remembered fondly by those who knew him. I only recently looked him up after seeing two remarkably violent, mordantly funny and poignant episodes of The Untouchables written by him: “Ma Barker and Her Boys” (with Claire Trevor in the lead) and The Doreen Maney Story (with Anne Francis as one half of a deadly pair of “lovebirds”). Thank you for writing more about him and bringing him alive here for another moment. This is Jerry’s daughter, Sally. I just posted a longer comment to the author of this wonderful piece. My daughter Liz found it and forwarded it to me today. Thank you so much for giving the internet world such a detailed, appreciative article about my father, Jerome Ross. Yes, although he was ‘unknown’ to the general public, when my brother Andrew and I gave him an 100th birthday party, we presented our guests with his credits( three pages, double columned), along with a copy of a play he had written at the age of 93 which was ‘read’ Off Broadway by the likes of Rosemary Harris and Mark Linn Baker.